Kalanick had already been on a leave of absence aimed at restoring confidence in the scandal-plagued company. UBER HAS CONFIRMED its embattled chief executive Travis Kalanick has agreed to step down from his job. Kalanick had already been on a leave of absence aimed at restoring confidence in the scandal-plagued lift-sharing giant. The New York Times reported early today that five of the company’s major investors had demanded his departure. “I can confirm Travis has resigned,” a spokesperson confirmed in an email. “I love Uber more than anything in the world and at this difficult moment in my personal life I have accepted the investors’ request to step aside so that Uber can go back to building rather than be distracted with another fight,” Kalanick said in a statement, quoted by the Times and confirmed by Uber. 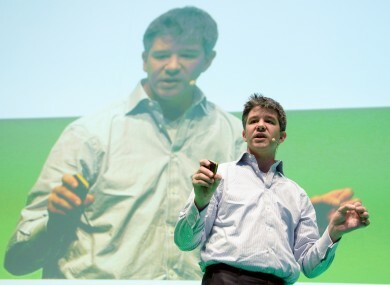 Email “Embattled Uber founder Travis Kalanick steps down as CEO”. Feedback on “Embattled Uber founder Travis Kalanick steps down as CEO”.